Laid-Back & Easy Does It! 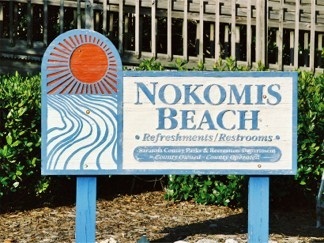 Nokomis Beach is on the barrier island of Casey Key, Florida in Sarasota County, south of Siesta Key. 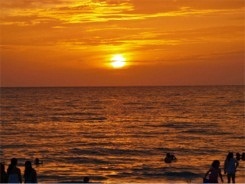 It’s a quiet, laid back, residential beach retreat with lots of room to roam or stretch out. I've spent a lot of time here doing just that..relaxing and stretching out! It's also a great beach on which to hunt for sea shells. For some reason, this seems to be the best beach in the area for sea shells, much as Venice area beaches are best for shark tooth hunting. Why? Beats me! Currents? Tides? Global location? More on sea shell hunting in a bit. 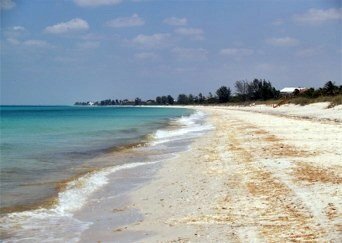 Nokomis beach is also a great beach on which to take a long walk, sunbathe, picnic, or just enjoy a beautiful day on this family-friendly beach, enjoying the sights and sounds of nature and wildlife. Whether it's watching the majestic, prehistoric looking Pelicans dive from the sky into the water for a fresh fish snack, or catching sight of a bottle nosed dolphin taking a leisurely swim past the beach, or chasing the sea gulls around in the sand, you’ll love the wild life all around you on this, one of the Sun Coast's finest Gulf of Mexico beaches. In late 2016 a new addition was launched at Nokomis Beach: a concessions stand! Offering moderately priced breakfast, lunch and refreshments you'll find menu items from tasty Bagels to Breakfast Sandwiches & Breakfast Burritos to lunchtime sandwich favorites like Smoked Pulled Pork or Brisket to Beer Brats and Burgers, Bang Bang Shrimp, Chicken Tenders and more along with sodas, water, juice boxes and cold beer and wine. Cash, credit and Apple Pay accepted. 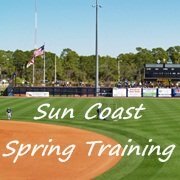 Open Mon - Tues 9 a.m. - 3 p.m., Wed - Fri 9 a.m. - 5:30 p.m., Sat - Sun 8 a.m. - 5:30 p.m. 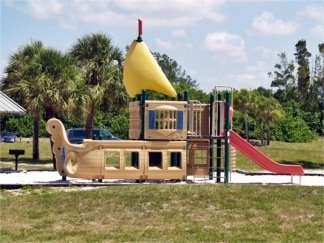 Located at the Beach House on the boardwalk adjacent to Nokomis Beach. Room to Stretch Out...The views of the Gulf of Mexico are unobstructed because there are no high-rise condos or high rise hotels on Casey Key, which helps in making it a less crowded beach. For the most part there's a total lack of commercialism here. In my opinion, that fact alone makes THIS Beach EXTRA special. If you’re one who’s taken with the fine pastime of sea shell hunting and collecting, this beach is a great place to find them. It has been my experience that the better sea shell hunting has been found while walking north, up the beach, both close to and away from the shoreline, even up the beach toward the tall grass and sea oats, but away from private property. This area of the beach probably has more sea shells to select from because it’s a sparser populated area of the beach, even for walkers, joggers or sea shell hunters. Simply put, the sea shells are less picked over and more plentiful because fewer people are willing to take the longer walk, up the beach, to the north. You can walk leisurely, or at the pace of a power walk, for 45 minutes to the north and still not reach the north end of Casey Key. And along the way, you'll see hundreds, if not thousands of all sizes, shapes and kinds of sea shells. 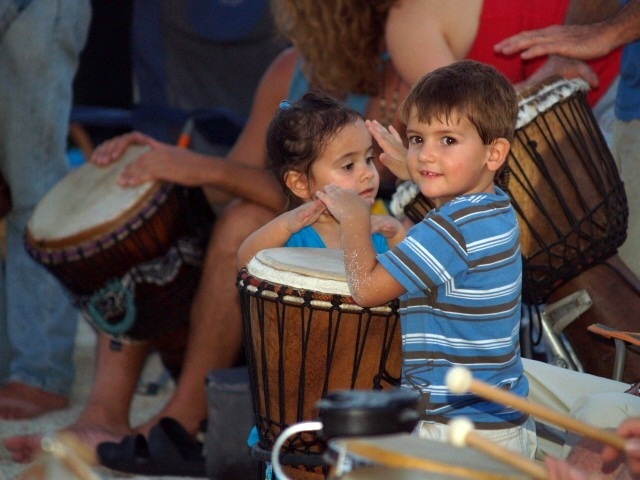 Family Fun Every Wednesday and Saturday Evenings at the Nokomis Beach Drum Circle. 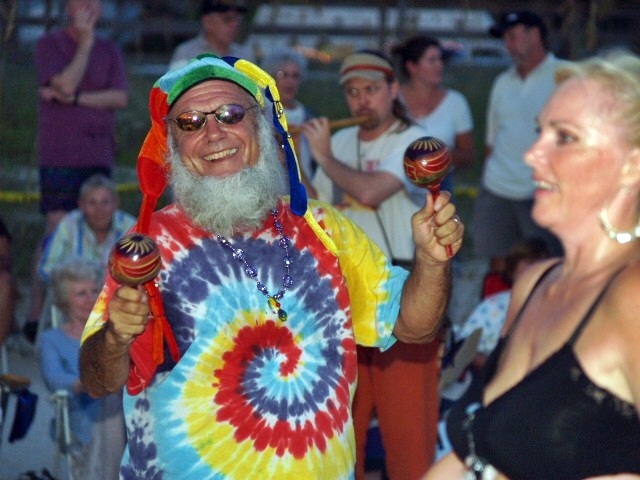 A fun, free event that takes place every Wednesday and Saturday evening, year round, is the gathering of the local Drum Circle. 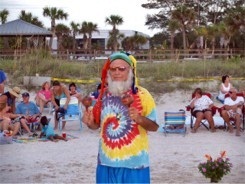 In the summer the Drum Circle starts to take form sometimes as early as 6 p.m. and sometimes as late as 7:30 p.m. Since it's a totally ad hoc and spontaneous collection of drummers, I guess you could say that they begin when the "rhythm" strikes them! Tip: Make sure you're aware of the time of the sunset at the time of year you're visiting if you want to see the drummers. I suggest that you arrive at least 60 minutes to 90 minutes before local sunset. 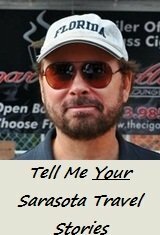 I've included as many pictures as possible of the Nokomis Drum Circle so you can get an idea of what a fun, family-friendly, yet sometimes kooky event this can be. 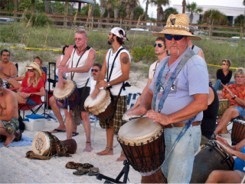 Locals come from near and far to participate and the lineup of drummers changes over time. 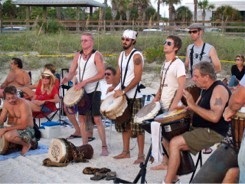 The Drum Circle is always evolving and anyone (that's anyone - even you!) 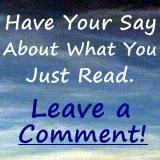 is welcome to join in. I've even seen people with empty plastic milk jugs playing along. As that old saying goes: "The more the merrier." It's a fun spectator event for locals and visitors alike. 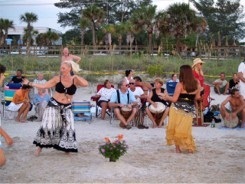 Every Wednesday and Saturday evening until sunset the faithful come to watch, dance and participate at some level. They bring their beach chairs and coolers. Some bring dinner and a bottle of wine and dine while they listen to the drums while watching the sun set. 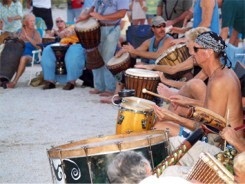 The Nokomis Beach Drum Circle was initially started, so the story goes, by just a couple of local guys, who in 2,000 decided they wanted to do "something!" So they brought a couple drums down to the beach, started playing and before too long it became a local tradition on Nokomis Beach. The climax of the evening's events, of course, is sunset; that special moment when the sun dips gently into the Gulf of Mexico over Nokomis Beach and everyone watches for the mystical or mythical, "Green Flash" at the moment the sun fades from the horizon. I've never seen the "Green Flash" but I keep trying. Maybe I just need another glass of wine! 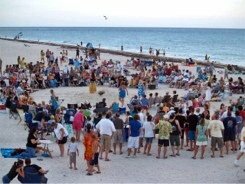 As the sun sets the drummers build their rhythm to a closing crescendo and everyone on the beach wishes the sun and each other farewell for the evening with applause and appreciation for the Nokomis Beach Drum Circle as well. 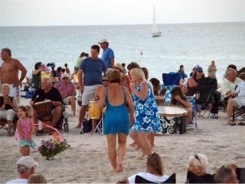 The Drummer Circle takes place at or near the lifeguard tower at Nokomis Beach. You can't miss it. Sometimes it moves up or down the beach a little depending on if there's another event going on. Just listen for the drums and look for the crowd. 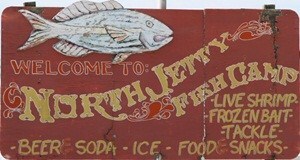 At the south end of Casey Key sits North Jetty Park, complete with a parking lot, playground, picnic tables, grills and a small general store/bait shop and what’s known as the North Jetty Fish Camp. Here you can buy beer and snacks, sit at a picnic table under the tall pines and watch the boating action in the waterways. This is a fine location to have a picnic lunch and relax and cool down under the shade of the trees. And from this location, you're only a short stroll down the pathway to the near by beach. 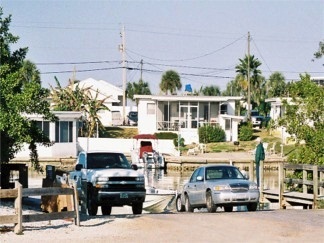 The Venice Jetty is the waterway that leads from The Intra-Coastal Waterway out to the Gulf of Mexico. 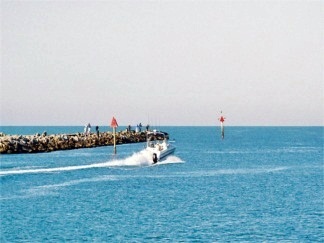 You’ll usually find either side of the Jetty populated by fishermen, whom you might enjoy watching or joining. Or you can walk out to the end of the Jetty to watch the boats motor or sail by, perhaps spot a dolphin, or watch other wildlife that inhabit the nearby Jetty's rock barriers. 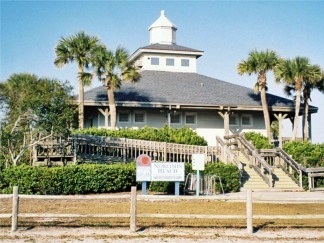 The north end of the beach has a small pavilion with concessions, restrooms, small picnic shelters and a nice boardwalk from which you can look across the sea oats and the beach and gaze out on to the beautiful blue waters of the Gulf of Mexico. 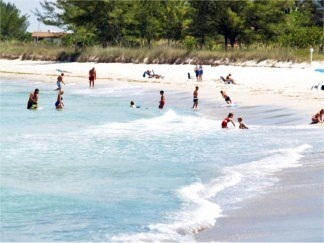 This is one of the Sarasota beaches where there are also lifeguard stations at both the north and south ends of the beach and several free public parking lots spread throughout the beach areas from north to south at the Jetty. 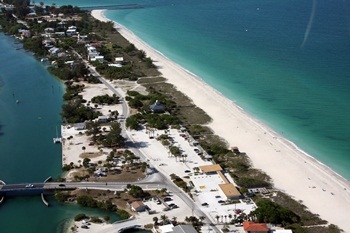 A boat launch ramp is located just north of the Albee Road drawbridge at the north end of Nokomis Beach. There's also usually plenty of parking for your pick up and trailer. 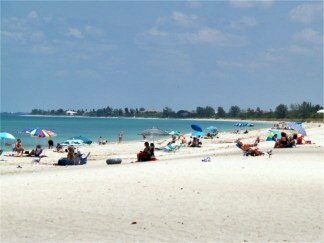 In conclusion: Usually less crowded in and out of season than other Sarasota Beaches, the family-friendly Nokomis Beach on Casey Key has good parking, restrooms, playgrounds and enough room to stretch out. 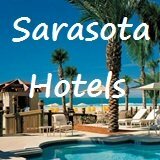 This is a good beach for sea shell collecting, especially heading north up the beach and another of my preferred Sarasota Beaches on which you can have a spectacular day by simply relaxing and communing with nature! 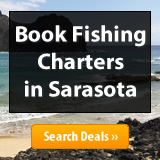 Or you can drive down to the south end of Casey Key and hang out at the North Jetty or do some fishing there, relax under the pines at the Fish Camp or relax at south Nokomis Beach. Tips: If you plan to do some beach combing and shell collecting bring along a small pail or baggie type bag to carry the shells in as you're collecting them. Also, comfy sandals or flip flops will in some spots of the beach make it easier on your feet, as packed down and embedded shells in the sand can be quite rough on tender feet. 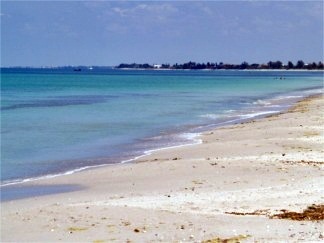 Interesting History: One of Sarasota County's oldest, portions of Nokomis Beach were acquired in the late 1940s and early 1950s. 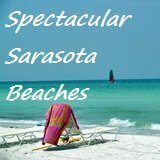 And in a 1986 bond referendum, the citizens of Sarasota County vote to expand the beach by an additional 600 feet. 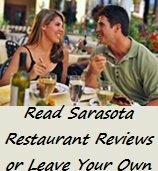 Directions: To Find Nokomis Beach from Sarasota, follow U.S. Rt. 41 south into and through Nokomis, turn right on Albee Road and follow it until you cross over the drawbridge. 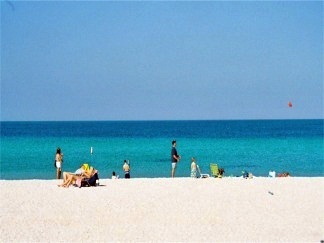 You'll see the parking lot areas of Nokomis Beach right in front of you.